Stay in the Heart of London in a small, all suite hotel in Sloane Street, a few minutes walk from Harrods and the King’s Road. Christmas season in Italy is traditionally celebrated December 24-January 6, or Christmas Eve through Epiphany. This follows the pagan season of celebrations that started with Saturnalia, a winter solstice festival, and ended with the Roman New Year, the Calends. However there are lots of Christmas things to see during December prior to Christmas, many starting on December 8, the Feast Day of the Immaculate Conception. Christmas decorations and trees are becoming more popular in Italy. Lights and decorations are often seen starting around December 8, the Feast Day of the Immaculate Conception, or even the end of November. The main focus of decorations continues to be the presepe, Nativity scene or creche. Almost every church has a presepe and they are often found outdoors in a piazza or public area, too. Traditionally, a meatless dinner is eaten on Christmas eve with the family, followed by a living nativity scene and midnight mass. In parts of southern Italy a seven fishes dinner is traditionally served on Christmas Eve. Traditional bonfires are often held on Christmas Eve in the main square of town, especially in mountain areas. Dinner on Christmas day is usually meat based. Although you’ll find Christmas celebrations all over Italy, these are some of the most unusual or most popular Christmas celebrations, events, and decorations. Rome is another top city to visit during the Christmas season. There’s a large Christmas market, nativity displays, and several huge Christmas trees. Saint Peter’s Square in Vatican City hosts the popular midnight mass given by the Pope inside Saint Peter’s Basilica. Those in the square see it on big screen TV. At noon on Christmas day the Pope gives his Christmas message from the window of his apartment overlooking the square. A large tree and nativity scene are erected in the square before Christmas. Near the top of Monte Ingino, above Gubbio in central Italy’s Umbria region, shines a huge Christmas tree, 650 meters tall and made up of more than 700 lights. In 1991 the Guinness Book of Records named it “The World’s Tallest Christmas Tree.” The tree is topped by a star that can be seen for nearly 50 kilometers. Tree lights are turned on every year on 7 December, the evening before the feast of the Immaculate Conception. Lago Trasimeno, also in Umbria, celebrates with Soul Christmas, Umbria Gospel Festival, December 8 – January 6. Manarola in Cinque Terre has a unique ecological nativity powered by solar energy. In Abbadia di San Salvatore, near Montalcino, the Fiaccole di Natale or Festival of Christmas Torches (Christmas Eve) is celebrated. Carols and torchlight processions in memory of the shepherds from the first Christmas Eve. Cortina d’Ampezzo in the Alps celebrates with a skiers torchlight parade – At midnight on Christmas Eve hundreds of people ski down an Alpine peak carrying torches. The Lakes in the north of Italy, Maggiore, Como and Orta, have begun to follow the traditions of their more northern neighbours in the Veneto and Sud Tyrol and have inaugurated a busy calendar of Christmas markets, choirs singing Christmas songs, spectacular exhibitions of nativity scenes, illuminations in all the towns and villages, from the most simple to the more elaborate. The entire area also has late night shopping, Sunday openings almost everywhere and excellent shopping throughout all the outlets for that really fabulous Christmas gift. So why not come and join us for that special Christmas, free from stress and hassle. The food may be different, turkey may be replaced by goose and Christmas pudding by Panettone, but the atmosphere at the Castello Dal Pozzo will certainly be friendly and full of Christmas cheer. And on the subject of superior regional products – don’t forget one of the best:Gorgonzola, which is made in the Varese and Novara areas and in the surrounding hills. 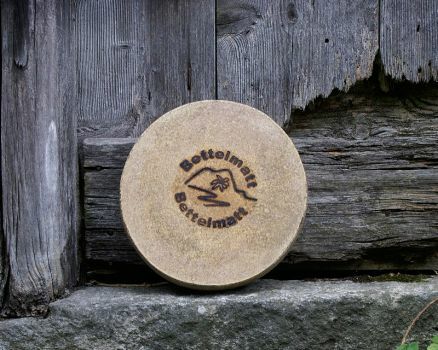 Of all the Alpine cheeses of the Ossola Valleys, pride of place must go to Bettelmatt, a cheese made on the high pastures of the Antigorio and Formazza Valleys from the whole raw milk of cows of the Bruna Alpina breed. Dense yet soft, golden yellow or straw-coloured, Bettelmatt cheese has a mild, delicate flavour, redolent of the Alpine flowers the cows graze on in the early summer, in particular the erba mottolina or Alpine lovage. The variety of these flowers and herbs, which grow only on high mountain pastures, gives the cheese its unique flavour. Originally the name “Bettelmatt” could be given only to cheese made on the Bettlematt alp, just below the Gries Pass at an altitude of 2,100 metres. 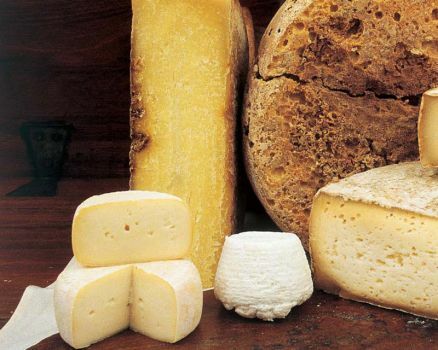 Now the name is also used for cheese made at the pastures of Toggia, Kastel, Poiala, Vannino, San Giatto and Forno. Each cheese is stamped with the name of the alp where it is produced, as well as the trademark certifying its exclusive production area. The cheese produced in the Mottarone area and ripened in alpine farms high on the slopes of this mountain, overlooking Lake Maggiore and Lake Orta. The hill massif is not known simply for its splendid views, but also for its cheeses. The milk produced at Mottarone is rich in vitamin A and produces a cheese known as “toma”, straw-yellow in colour and sold at various stages of ripening. Throughout the Ossola Valleys and in Val Stronayou can still come across artisan cheese producers who make goat’s cheese from the milk of their own animals in the traditional way. The cheese is made mainly from spring to autumn, after which the first snow falls prompt the return of the goats from the high summer pastures to their winter quarters in the valley. Goat’s cheese, called “furmagit da cavra” in the local dialect, is often used in local cooking, and can be eaten fresh or mature. 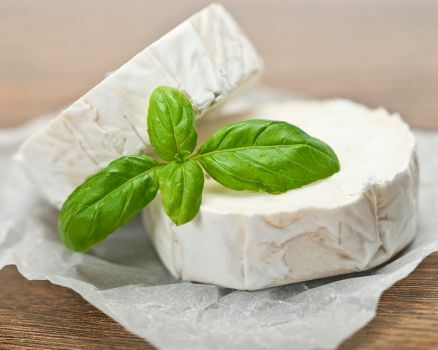 Fresh goat’s cheese comes in soft, white rounds called tomini, weighing from half a kilo to a kilo and a half. They can be matured for three months or so, which gives the cheese a distinct, slightly sharp flavour. Ricotta is a fresh whey cheese with an aroma and a taste that differs according to the type of production and the place it is made. The different types of preparation result in different cheeses, which can be fresh, mature, baked, smoked, salted, mildor sharp. Ricotta is made from June to September on the lower mountain pastures, and from July to the end of August on the high pastures. 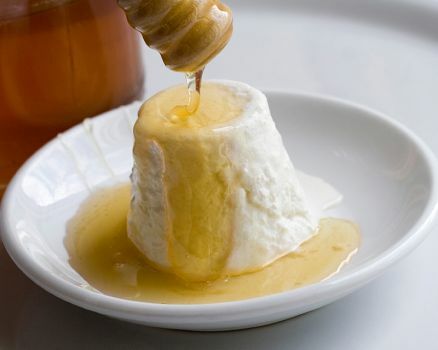 Throughout the year the local ricotta production is guaranteed by the dairies in the valleys, creameries, turnarie dairies (cooperative dairies where cheese is made by the members who “take turns”), and private producers. Some kinds of ricotta are ricotta grassa or rich ricotta, made from cow’s milk with the addition of cream, eaten fresh or with sugar; ricotta magra or low-fat ricotta, traditionally used in cooking, and ricotta stagionata or mature ricotta, which has a sharper taste. Mascarpa is made by heating the whey of cow’s or goat’s milk. On the alp the cheeses are usually hung up to drain in special cloth bags. Mascarpa should preferably be eaten fresh, but is sometimes smoked. Gorgonzola is a cheese made from cow’s milk. There are two kinds, mild and sharp. Sharp Gorgonzola has more pronounced blue veining, is denser, and has a stronger taste than the mild version. Between the third and fourth week of the aging process, the cheese is pierced with metal rods, which allows air to enter and facilitates the germination of the mould spores. The sharp kind goes well with hearty red wines likeGhemme Docg, Fara or Boca, the milder version with white wines or lighter reds. 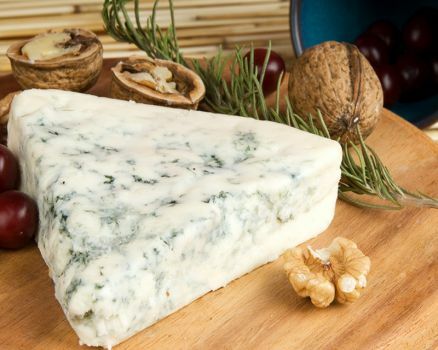 Gorgonzola is excellent as the basis for creamy sauces made with butter or cream. According to legend, Gorgonzola was “discovered” by a careless cheese-maker who, distracted from his work by amorous preoccupations, put off his day’s work until the next day, when he mixed the previous evening’s curds with those of the morning, thereby obtaining a wholly new kind of cheese. A meticulously edited selection of Travel related accessories from a young start up company that now has branches all over USA, and in Australia and Singapore.